Demented play with Ashy Slashy! Every day can be demented play day with your very own Ashy Slashy puppet from Season 2 of Ash vs. Evil Dead! The Ash vs. 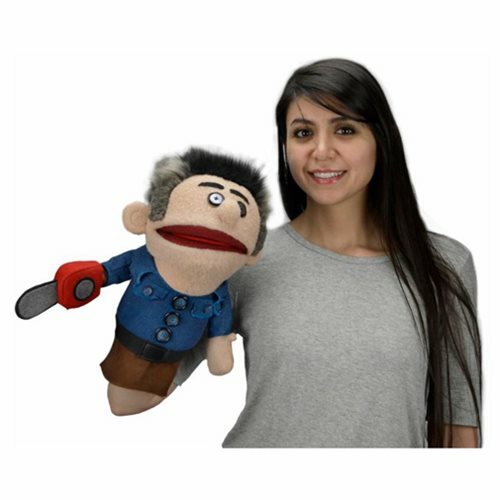 Evil Dead Ashy Slashy Puppet Prop Replica faithfully replicates Ash's potty-mouthed little doppelganger from the asylum episodes for your (hopefully G-rated) entertainment. This is a working puppet - insert your hand and you can move the mouth, plus the arms are poseable thanks to inner articulation. Ashy Slashy is measures approximately 15-inches tall. Ages 17 and up.